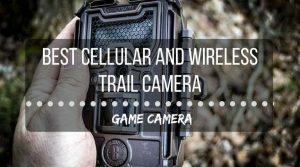 Trail cameras are popular choices for hunters who want to stake out their hunting spots and they are popular with people who want to have survelliance cameras at their homes. 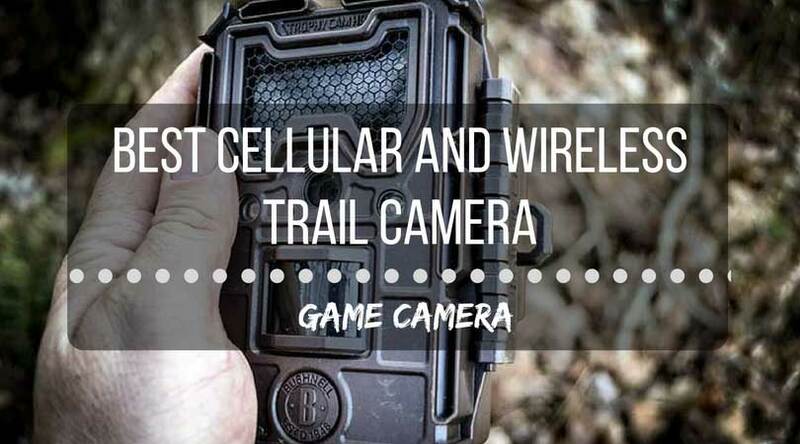 With the latest upgrades to the trail camera, it is easy to find the best wireless trail camera to fit the exact needs you have without breaking your budget. Wireless cameras have become the cameras of choice because they are easy to set up and the photos can be sent anywhere that will accept the messages. Whether you shoot compound bows for a hobby, because you love to hunt, or you are building up your prepping supplies, the Apollo Tactical Compound Bow will fit your needs. This compound bow package is one of the best available, anywhere. It is a top-of-the-line choice like no other and it shoots like it is truly designed just for you. 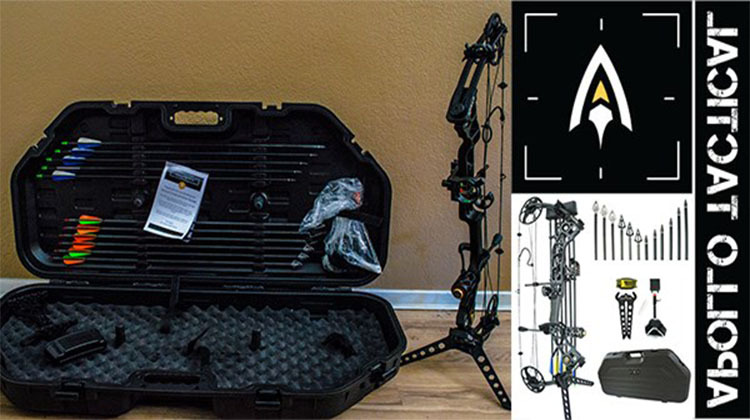 The Apollo Tactical Compound Bow package is loaded with accessories and necessary features. And by loaded, I mean, loaded. 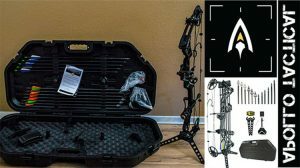 The bow itself includes several installed features including a UV-lighted site, a stabilizer and dampener, a peep site, six additional vibration dampeners, an arrow rest, cable guides and cable stops made of carbon fiber, and a bow sling. It also includes a handful of accessories like a hard storage case, limb dampeners, quivers, arrows, tips, and broadheads, string wax, a hex tool, and a few other necessities and spare parts. The case is designed especially for the Apollo Tactical and is valuable on its own. It is lightweight and easy to take from place to place. You will love the case nearly as much as the contents inside of it. One of the best things about compound bows is the adjustability. The draw length and weight can be adjusted to fit your strength and size. The draw length can be adjusted between 19 and 30 inches. The weight can be adjusted between 25 and 70 pounds. The length and weight can be adjusted for different uses – higher draw weights can be used for hunting rather than for target practice. The bow itself is 30 inches and the brace height is seven inches. All it takes is using the hex tool to adjust the weight and length. The bow itself is lightweight – weighing in at only 4.5 pounds. The bow can be adjusted without using a bow press and it has an impressive 320 FPS that is strong enough to take down a whitetail deer or something smaller. After receiving the bow, you might worry about the process of putting it together. But, this bow does not require the need to visit the outfitter. It is designed to be put together by anyone, anywhere. For a bow at this price point, the fact that it can be put together without the need of an outfitter is a bonus. This bow is not a cheap one, by any means. In fact, its price point is in the upper-middle to high range. But, the bow is so well crafted that it is obvious why the price is what it is. The Apollo Tactical is made of CNC-milled aluminum, making it lightweight and durable – which is everything that a bow should be. The added vision features are also extremely well-made. The UV-lighted site has fiber optic pins that glow making it easy to hunt at dawn and twilight – which are often the peak times for animals to be out feeding. The peep site helps with lining up the forward site – getting the two in line will help with accuracy. There are several features that add to the quality of the compound bow. Most compound bows do not come with dampening systems, stabilizers, or other accessories. This bow has a weighted dampener that includes metal weights to avoid problems due to vibration. No one wants their compound bow to be so loud that animals hear it. The stabilizer also uses a weighted system that helps increase accuracy. The arrow rest is another useful feature designed to increase the accuracy of every shot; it holds the arrow in place so you can get tight groups on the target. Another useful tool is the D-Loop. This added feature is designed to provide an attachment spot for the arrow release. This D-Loop adds to the accuracy of the shot, because you can release the bow using a comfortable arrow release. The heavy-duty case, the high-quality design, and the full load of accessories make the Apollo Tactical Compound Bow package the perfect option for anyone who loves to shoot a compound bow. It is easy to assemble, quick to store, and value-added purchase. The price might be higher than expected, but it when you consider what each accessory costs individually, the price is right and the convenience is perfect.